As Wheeler and Ross weave through the layers of Glasgow’s underbelly, they find a subculture where truth and lies are interchangeable commodities, and violence is the favoured currency. A. J. McCreanor was born in Glasgow and after university taught English in various secondary schools in inner Glasgow. In 2011 she won first prize for crime fiction writing at the Wells Literature Festival. Anne now lives in Glastonbury with her husband, two cats and one dog. Would you try another book from A. J. McCreanor and/or Caroline Guthrie? 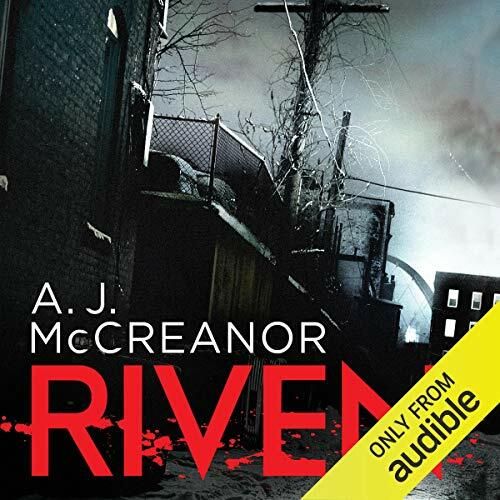 Would you ever listen to anything by A. J. McCreanor again? Probably not. The story just seemed to amble along and I frequently found myself drifting off to other thoughts. Believe I need something a little faster paced. Would you be willing to try another one of Caroline Guthrie’s performances? Would have to listen to the sample first. If she continues with the HEAVY accent, no. Not that I can think of. Totally wasted a credit. for an American, the narrator's accent makes this tough to get into. haven't listened to much as a result. I struggled to finish this one. there were so many bad thoughts and subplots that I had to keep backing up to remember who was whom. By the end of the book I neither knew nor cared who the original murderer was. I also could not find one redeemable or likable character, except perhaps the dog. Thick accent hard to understand in places requiring more concentration than just casual listening. Takes effort which distracts from the story.